Newsletters have been a common practice communication tool within the fitness industry for years. They can be used to inform members on club changes and upcoming events for the month. Examples of these include new staff joining the team, club competitions or things they need to be aware of in the future such as facility rennovations which might disrupt their schedule. Common reasons for businesses using email as their primary form of communication with clients are as follows. There is generally no cost of sending an email (or very low costs). They’re more personal than alternative communication channels. They also tend to be more effective than alternative communication channels. How does email compare with alternative communication channels? In a 2013 study conducted by emarketer.com they researched email marketing performance metrics in North America. They found emails sent to North Americans between 2011 and 2013 had the following performance averages. A 3.84% non-bounce rate, 25.7% open rate and 5% click through rate. What do these mean and how do they compare to other channels? A 3.84% non-bounce rate means 4 out of every 100 emails sent didn’t reach the people they were sent to. This may be due to things like incorrect or fake email addresses. 25.7% Open rate means 26 of every 100 people who were sent the email actively opened the email. A 5% click through rate means 5 in every 100 people clicked the call to action within the email. This is high in comparison to CTR averages from other marketing channels such as AdWords (1.91% ) and Facebook (0.9%). You can see why email is so popular – especially when it’s free. In reality, the research conducted by emarketer.com (2013) might even produce conservative figures for performance when compared to fitness clubs. Your email performance might be higher, as a list of gym members will be more engaged than others. For example a retail store’s email list will be less engaged due to the nature of their relationship with customers. To make sure your newsletter is an effective communication tool and actually improves club experience for your members there’s a few key points to take in to consideration. 1. Write a snappy, attention grabbing subject line. Your subject line should be straightforward, descriptive and appealing for members to click. Try to get creative, make it interesting and relevant to the content within this newsletter. Don’t just call the email something like ‘MyGym Monthly Fitness Club Newsletters’ as this will have a significantly lower open rate than something like “New Floor Plans & Classes Coming in April for MyGym”. A big no-no is selling stuff within the subject line. People might be tempted to do so, but saying something like “Tempting Specials at MyGym This Month!” may kill your click through rates, so avoid this practice. 2. Come up with engaging email copy. The copy of your fitness club newsletters should be appropriate and ideally will match the rest of your branding. Add your logo and colors to effectively integrate these newsletter into your club’s communications. There should be a reasonable ratio of images to text, and don’t forget to add links to your website where you can. 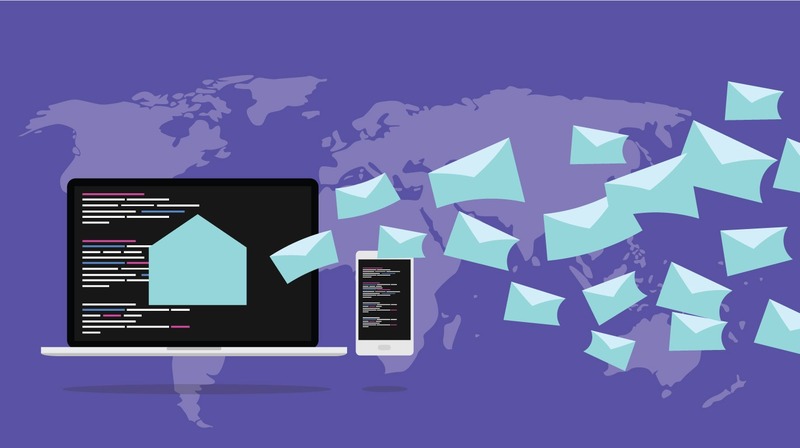 Content of emails sent to your members should be affective in nature, you want the message to be personal to the reader as it’ll resonate with them better. You can do this by inserting fields within GymMaster such as their name. The fitness club newsletters should be relevant and interesting to your members. Make sure the content is something which they’re going to want to take time out of their day to read. You want the content to encourage people to get involved with your club and visit more often, tailor the content to induce a sense of FOMO (fear of missing out) among those who aren’t attending enough – not just serve as a reminder that they should cancel their membership with the club! Keep your content relevant and interesting to your members, make sure that the content is something they they’re going to want to take time out of their day to look over. 3. Provide an unsubscribe button. For your email list to remain “white hat” and opt-in you need to provide the recipients the opportunity to unsubscribe to your email list. Some might see the possibility of losing subscribers as an entirely negative scenario for their business, but the consequences of not doing so a much more negative on your club’s brand image. Also, while it’s not ideal to lose subscribers, it does give you an indication as to how your club is responding to your current fitness club newsletters and their copy. This informs you whether or not you need to make changes. No need to stress about setting this up – GymMaster offers your members the option to unsubscribe to promotional messages from your club at the bottom of your emails. 4. Send your email at the right time. The timing of which you send your email can impact the chances of it being opened by recipients. For many audiences, the most effective time send an email is through the workday at around 10am. This is likely because they’re already at the computer or on their devices and with them being at work they’re less likely to be doing activities which might distract them from opening – leaving the message lost in their inbox with the thousands of others. To create a bulk email list for fitness club’s newsletter you can use the reports functionality of GymMaster. GymMaster has an easy to use email system which makes life as a club owner or staff member (and now newsletter author) simple. If you have questions on how to use GymMaster for the functionalities outlined within this article, or want a personal demonstration of the other features of GymMaster, click here to book a demo.